Stardust is the best source for contemporary modern area rugs in a wide variety of colors, shapes and styles. We specialize in Nanimarquina rugs and Gandiablasco area rugs. We offer modern rug designs and offer an incredible selection of rugs, carpets, doormats, runners and floor coverings for the home and the office. Browse a wide assortment of styles from traditional rugs in neutral tones to mid-century modern designer rugs to ultra contemporary rugs. We have square rugs, rectangular rugs, round rugs, oval rugs and unique special rug designs to fit any taste and budget. Stardust.com offers beautiful modern rugs from stylish European rug manufacturers such as Gandia Blasco, Nanimarquina, Designer Carpets and Moooi. Our unique and decorative area rugs can be used to complete any space; spruce up your home in style with a beautiful contemporary designer rug in a living room or a long runner rug in a hall or entryway. Browse and shop our large rug collection at Stardust.com and find rugs on sale by color, pattern, size, style, technique and more. You will also finds discounted rugs in our special Floor Sample Sale category which gets updated weekly. Receive a Low Price Match Guarantee and Free Shipping on hundreds of modern rugs, no minimum required! Shop modern designer rugs by Nanimarquina. Spanish rug design maven Nani Marquina, founder of Nanimarquina Rugs is known for her emphasis on handcrafted wares, commitment to fair trade practices and sustainable development, and for bringing a distinctive and imaginative twist to floor coverings. The scope of Nanimarquina's rug designs is innovation by giving rugs a contemporary focus and trying to establish a rug within a contemporary environment. This means trying to transform what is normally thought of as a traditional, antique work into something that can cope with our modern style of living: the style of the moment and the uses of the present day. Fun, lively and modern, the Nani Marquina rug collection adds atmosphere and color to liven up any room of the house. Search for modern and contemporary area rug designs for your living room, hallway or bedroom. Discover the luxury rugs & designer carpets from Nanimarquina at Stardust, the home of modern design. Shop our range of sophisticated Gandia Blasco rugs made by the Valencian furniture company Gadia Blasco. Discover a wide selection modern & contemporary, designer rugs offered by a variety of designers and in a wide variety of colors, styles and shapes. 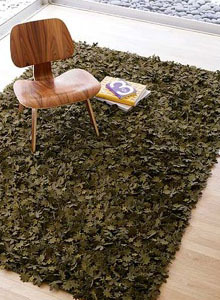 Gan Rugs cleverly combine a clean modern aesthetic with the softness of woven wool. Gandia Blasco's contemporary rugs come in a variety of prints and solids and add style and atmosphere to any decor style. Gan Rugs are offered in an attractive color palette and feature both interesting and neutral patterns to compliment your existing living room furniture. Search for modern and contemporary area rug designs in all shapes, sizes, and colors for your living room, hallway or bedroom. Discover the luxury rugs & designer carpets from Gandia Blasco at Stardust, the home of modern design.